Are you like me when it comes to beauty products? I mean, do you find an amazing product and start buying back-ups in case if you suddenly run out (your kid accidentally knock off the jar) or the manufacturer decides to discontinue without warning? I had a long debate for trying Skinceutials CE Ferulic (not only because I was afraid of potential skin reactions but mostly because it's not easily available, especially in Canada and they require consultation i.e you cannot just buy it online...how annoying?!?). And how that I'm down 1/4 of my first bottle, I suddenly feel the urge of stocking up! Yes, it's really good (at least for my skin)! 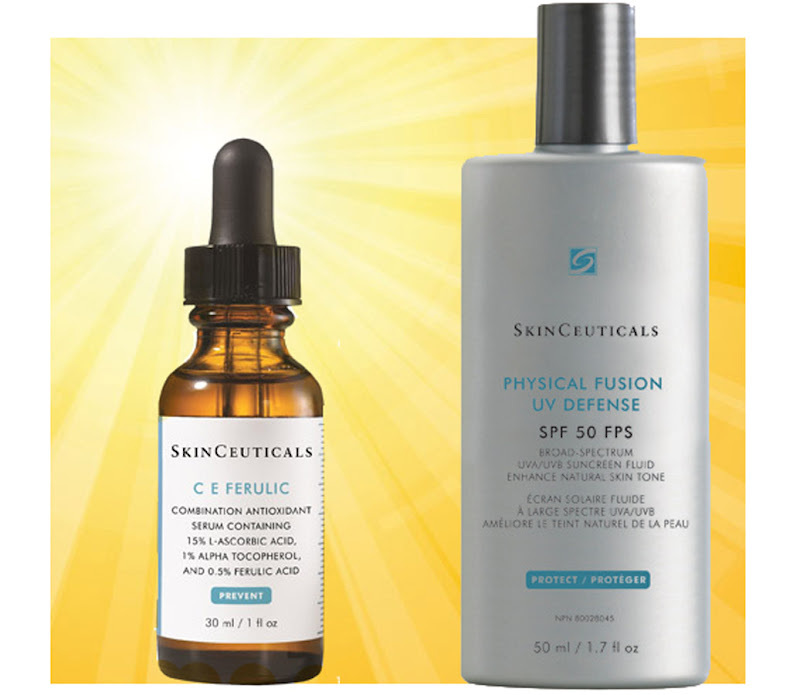 So I went on their website and found their new INSIDE + OUT Photoaging Solution, which includes a full size CE Ferulic and a full size Physical Fusion for $162 instead of $178 if bought separately. I can always use a bottle of sunscreen for face (especially in China) and I love the sound of a bargain!! !